At Bob Oates Sewer and Rooter, we devise plans of action around the notion that we need to know exactly what the problem and where it is within your pipelines. Whether your pipes are experiencing corrosion from weather and old age, or becoming clogged by debris and grease, we don’t waste time by guessing what the problem is. We take action to determine the problem with eco-friendly alternatives to digging huge trenches in your home or yard. Our sewer camera inspections are the answer for accurate assessments in a short amount of time, keeping your property intact and ensuring that our conclusions will be ideal for the situation. 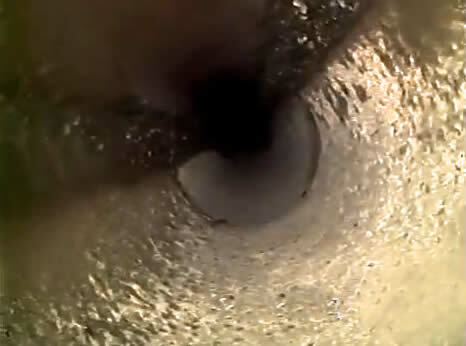 Our team at Bob Oates Sewer and Rooter is trained to repair any sewer system damage with a camera inspection first. Our technicians create small access points that allow us to clean the drains with hydro jetting or drain snakes in order to remove buildup and provide us with accurate visuals inside the pipes. After this is done, the camera is sent through the pipes, and the footage is fed back to a monitor for review. Having real-time video footage of your pipes gives us insight into their condition and the problem at hand. Without a sewer camera inspection, time would be wasted on unnecessary guesswork regarding the nature of the issue, and forcing the repair process to be more time-consuming as a result. After our inspection is complete and we have identified the source of the problem, we discuss the ideal repair options for you. All of our services are eco-friendly and non-invasive, ensuring that your home will remain unaffected by the repair process. Once you are satisfied with our plan of action, we move forward with the repairs and complete the job within a few hours. Your routine won’t be disrupted, and our repairs can be completed without turning off your water service are creating inconvenient downtime. Sewer camera inspections are not just necessary to repair damage in your pipes, and are also good options to have available before you buy a new home, or if you want to avoid future problems in your sewer system. With Bob Oates Sewer and Rooter, we offer sewer camera inspections outside of emergency situations for our customers, providing our customers with proactive options for maintaining their pipes. Instead of waiting for the clogs or breaks to occur, we can get down to fixing them right away, saving you time and money by keeping the repairs minimal before they become overwhelming and problematic. Our sewer camera inspections are capable of thoroughly inspecting pipes of all materials and sizes, and flexible enough to carefully analyze any curves and bends in the pipes. If your pipes need to be assessed, call us for a sewer camera inspection, and you won’t be disappointed with our services. With affordable rates and quick solutions, we make sure to restore your pipes and keep them working for many years.